Can Value-Based Care Bring Down the Cost of Healthcare? Value-Based Healthcare is not a new idea, however, it is an innovative healthcare model that many health insurers, service or pharmaceutical providers, and even the government are working on implementing as a way to reduce health costs and improve patients health. Many health plans may already include elements of value-based care in their preventative services packages. Value-based care is a focal point of how to save money on health costs. Value-Based Care is about the quality of care instead of quantity of care. Value-Based Care can be defined as a healthcare model based on compensation for outcomes, instead of on a traditional fee-for-service (FFS) or "quantity of care" system where medical providers are on a "pay per use" type compensation system. In value-based care, the overall wellness of the patient and the outcome is key to being compensated. How is "Value" Determined for Health Care, How Does it Save Money? This may sound complicated, but with proper analysis of current treatment plans and review of where hospitals, health insurance, and other services are spending money, providers can redesign services to provide this value. Value is essentially getting more for less. Not all organizations have shifted to Value-Based Care models, but many are learning from existing organizations using this model already and preparing to shift to this more effective and cost-efficient form of care in the near future. How Can Value-Based Care Save Money on Health Costs? Value-based care takes the approach of proactive, preventative and efficient care. It uses data and technology to understand emerging needs. Value-based care also creates a more integrated approach to managing people's wellness, instead of treating illness and disease as it occurs. Preventative screenings, taking into account the person's psychological needs as well as their physical ones, and proactive communication with patients and medical teams are important aspects of value-based care. 40 percent of employers have started using value-based benefit designs which saves money for participating employees. 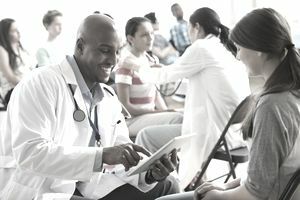 According to the National Business Group on Health, almost 40 percent of employers have started using value-based benefit designs where their employees benefit from reductions in cost sharing or lower premiums when they take preventative or proactive measures to increase wellness by obtaining higher quality care or actively work on managing chronic conditions. In addition, the survey conducted by the National Business Group on Health also stated that 66 percent of companies will offer medical decision support and second opinion services in 2018. Value-based care uses data and technology to enable greater communication between patients and doctors, as well as within the medical teams serving patients. Eliminating unnecessary administrative procedures or tests by using data to analyze and create best practices and "care paths". Using technology for modern healthcare can be a big help in this area. Creating stronger alliances, communication, and evaluation of the regulations for drug companies so that costs associated with drugs are directly related to outcomes or how effective the drug is. According to the AJMC report with suggestions by health policy experts, insurers could also make changes to how they manage prescription drugs by encouraging the use of higher value drugs by exempting them from deductibles or allowing lower cost sharing. Employers offering employees value-based care benefit programs save money by increasing the health and wellness of their employees which directly impacts productivity and decreases absenteeism. Coordinated care from medical teams reduces the health care costs involved due to the fact that there is a less likely chance of medical duplication of services or unnecessary medical tests and errors. This can be as simple as enabling teams to review medical charts easily together, or creating opportunities for patients to access their doctors, dieticians, pharmacists or other medical professionals more easily in order to prevent illness or escalation of symptoms. You may not realize it but many organizations are actively working on shifting to value-based care models. Medicare's preventative services could be an example of the move toward a wellness-focused health system, where diagnosing and preventing illness and managing a person's wellbeing to prevent medical issues is just as important as the treatment in emergencies. The concept is that if illness is well managed (reducing the financial cost of diabetes, for example) then healthcare costs related to the illness will be reduced since the patient's health is being monitored and managed along the way with the help of a dedicated medical team focused on things like lifestyle changes, psychological support and patient education, and wellness visits, among the other medical basics.